However, it is still not very clear and uncertain what would happen over such a turbulent period. Firstly, it should figure out what the stewardship has ever been played by NTIA and what is the specification of the oversight. How would we know the new oversight mechanism when we are not even sure of the existing one? Secondly, it is not logical to have ICANN to oversee itself if IANA is a function within ICANN. Thirdly, what would be the way forward? Should that be a so-called “Chinese Wall” to let IANA relatively independent of ICANN when more solid accountability system is build up in or surrounding ICANN? The global Internet community is now hotly debating the IANA transition from NTIA. I’m fully convinced that the transition should begin with clarification of the NTIA’s oversight role that it’s been playing. ccNSO has made a insightful statement with valuable details. However, it would be more helpful to group up the roles into 2 parts, namely, clerical function and stewardship. In the case that IANA is going to stay within ICANN, which seems gathering support from the community, the clerical role can well be fit into the boxes of direct users of IANA function, from IETF, RIRs to TLD registries (directly rather than through any SO). In such case, the so-called DNSA proposal might not be a very bad one. TLD registries need certain channel, like NROs for RIRs, to make sure IANA follow the normal rules and procedures for any change at zone file. Supporting Organizations (either gNSO or ccNSO) can hardly play such clerical role. It is not logical for a SO to support as well as oversee ICANN. With respect to the stewardship role, it might be a constitutional moment. The new external and independent accountability for ICANN might be much similar to a global “constitutional court”, where ICANN’s policy decisions can be finally appealed, in addition to the existing territorial jurisdiction in California court, provided that ICANN is still a non-profit organization registered in CA. The announcement is NOT a response to disclosures by Edward Snowden about the National Security Agency and its policies.One media report claims ICANN lobbied the U.S.Government to relinquish its oversight “using the Snowden leaks as a lever.” This couldn’t be further from the truth. The government first envisioned this transfer when it began contracting with ICANN in 1998. For the past 16 years, ICANN has protected the open Internet with increasing operational excellence – itself accountable to the global community. The March 14 announcement was the final step down a path paved years ago. The announcement will NOT lead to a division of the Internet into smaller, less technically resilient pieces.”A digital Iron Curtain” will not be imposed resulting from this announcement. An opinion piece in The Wall Street Journal claims that by stepping back, the United States will divide “425,000 global routes of the Internet into less technically resilient pieces.” In fact, the exact opposite is true.The March 14 announcement is an important step toward preserving and protecting the open Internet. U.S. oversight will not be usurped by authoritarian governments eager to censor free speech – or by any other inter-governmental institution. Instead, a globally accountable, multistakeholder governing body will ensure the Internet continues to promote the free exchange of ideas, propel innovation and drive economic development. The announcement transfers stewardship of an administrative and clerical function. ICANN does NOT serve a policing function in the Internet ecosystem.Let me be clear, ICANN coordinates one technical component of the Internet ecosystem – the names, numbers and protocol parameters of the Internet. ICANN does not control content on the Internet. ICANN has no role relating to Internet content and cannot enact Internet censorship.These technical components of the Internet have been working well for nearly two decades underneath a multistakeholder process with the U.S. government holding a stewardship role. In reality, ICANN has successfully administered the IANA Functions with increasing autonomy for the past 16 years and this announcement will not alter its commitment to the security and stability of the Internet’s Domain Name System. The announcement will NOT affect the billions who use the Internet every day.Some have speculated through the media that the U.S. announcement will “put the open Internet at risk” for everyday users. This concern is not rooted in reality. The transition of stewardship will not affect the functionality of the Internet. The coordination of the IANA functions will continue unchanged. The announcement reinforces the principles that the Internet belongs to everyone and is responsible to everyone.Instead of politicizing the debate over the U.S. Government’s decision to transition stewardship of the Internet’s technical functions, let’s move forward with the discussion we need to have – how to engage in the necessary discussion to develop an effective transition process, one that continues to ensure an open Internet that belongs to everyone. 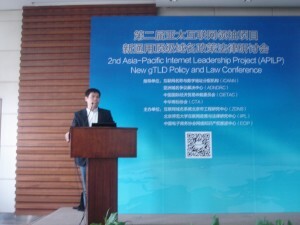 The Second Asia Pacific Internet Leadership Project (APILP), on 12 March 2014 in Beijing, was hailed by the Chinese domain name industry. 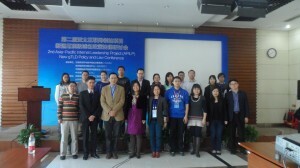 Since the first APILP succeeded in Beijing 3 years ago, there have always been strong calls for the resurrection of this unique and innovative capacity building project on Internet Governance from both local and AP regional Internet community. The 2nd APILP is a Pilot before the Official Relaunch in Singapore. Beijing Pilot acquired very strong community support. It was supported, especially, by ICANN Asia-Pacific Hub, Asia Domain Names Dispute Resultion Center (ADNDRC), Chinese International Economic and Trade Arbitration Commission (CIETAC) and China Trademark Association, all of which sent the officers to give keynote speeches at the event. As a free and open event, it attracted more than 60 participants from new gTLD applicants, registrars, ccTLD and electronic commerce businesses. Beijing Normal University Institute for Internet Policy & Law (IIPL) and Internet Domain Name System Beijing Engineering Research Center (ZDNS) sponsored the program by providing in-kind donations for meeting room, facilitates, conference materials and participants’ work lunch. 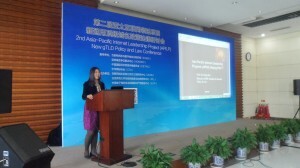 Beijing Pilot featured the theme of “New gTLD Policy & Law” and had 3 theme fora on “Right Protection Measures”, “Dispute Resolution Services” and “Domain Name Registration Policies” respectively. The whole program tremendously interested the Chinese domain name industry. It is worth noting that there has been academic and civil society participation in ICANN through either At Large and NCUC for some years but there has no Chinese participants in the GNSO Commercial, Registry and Registrar stakeholders group, in which there are even hardly any active members from the AP developing world except for a few elites. These policy-making process is dominated almost entirely by US and European business interests, and has been run by essentially the same people almost since the beginning of ICANN. 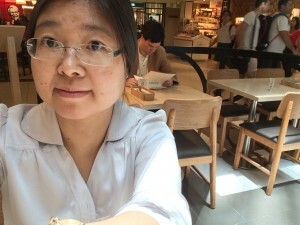 It was raised at the event that Chinese new gTLD applicants, either Brand, community or open TLDs, would hardly be able to catch up with the policies constantly deriving from ICANN mytrix, albeit exert any influence in the policy development process. Capacity building for these new stakeholders are definitely needed. It is good that ICANN Singapore Hub takes APILP as a important vehicle for community services and regional strategy and sent Mr. Kuek, ICANN VP, to open the event in Beijing. More discussions will continue in Singapore at the Launch. Prof. Xue, at her keynote speech, gave an overview of the various right program measures in new gTLD program and specifically analyzed Sunrise Registrations and Trademark Claims. Prof. Xue pointed out both the usage and limits of the ICANN-accredited Trademark Clearinghouse in design. Submission of trademark information into the Clearinghouse is a prerequisite for any sunrise registration application but does not suffice or guarantee any actual registration under a specific TLD. It is subject to each TLD registry to decide the registration conditions (on geographic, class of goods, trademark registration dates, etc.) and other eligible requirements. Many brand owners concerned that they received misleading information that their brands would get sunrise registration for sure once submitted to the Clearinghouse. The comments from the community only reaffirm the necessity for such capacity building program.